When moving, the worst thing that can happen to your items is breakages. This is especially when moving fragile items like the electronics, the kitchen utensils and the appliances. Even before contacting the moving services company, you would want to think of how to protect the fragile household items. So how do you keep the fragile items safe during a move? In this article, we shall share some brilliant ideas. Keep reading to find out. Are you moving out and worried about how to protect the household items from breakages? The number one practical solution is investing in appropriate packaging supplies. These can be bought from the stores that sell packaging solutions. 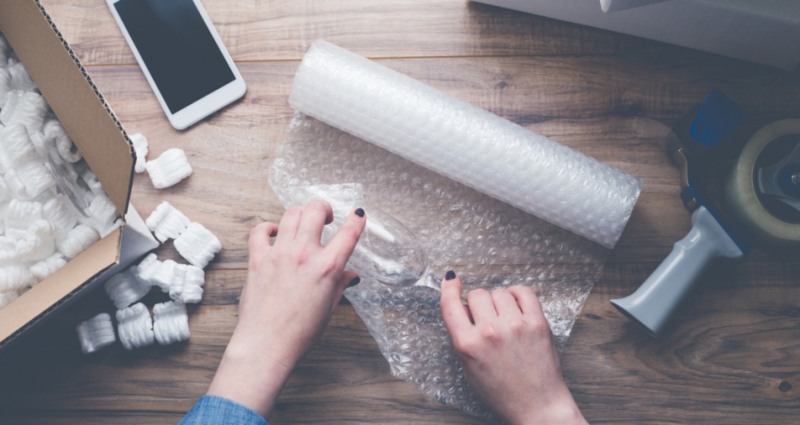 A good example is the bubble wrap that can be used for protecting the fragile household Items. That pliable transparent plastic can help protect your fragile items during a move. The regularly spaced protruding air-filled hemispheres will cushion your fragile items from banging on each other. The second alternative when buying packaging supplies is the packing paper. This can also be used together with the bubble wrap to create that cushion. The packing paper comes as a great asset and protects the glass items that you will be packing during the much-awaited move. For the fragile kitchen glasses, you can easily wrap the glasses using about three layers of packing paper or more depending on the thickness of the single sheet. The packing paper can also be used for protecting the plates. The foam packing peanuts also offer a good solution. These can be used for the larger fragile items like a vase or the lampstand. The foam packing peanuts are soft pellets that help in protecting the fragile items from shifting and breaking while being carried in a box. 2. Do not rush the moving process. Handle the fragile items with care. By planning the move adequately, you can avoid rushing the packaging process. This helps to ensure that you do not experience any breakages. Therefore, start packing early and handle the breakables with care. If you have enough space, keep the breakables separately to avoid accidents as you pack the other items. When the packing process is rushed, some fragile items will most likely break. Therefore, make sure that you create ample time for the packing process. In most cases, it is advisable you start packing the items a week before the actual move date. However, this depends on the number of items to be moved. Contact a professional moving services provider. The professionals are well trained on how to handle fragile items and so you can rest assured there will be no breakages. This gives you peace of mind allowing you to concentrate on things that matter. Those are the important things to bear in mind when planning to move the fragile items.